Darren Maule, East Coast Radio DJ, and Chris Knutsen, SA surfing legend, tell us about their neighbourhood. Simon Bray talks about the Umhlanga Neighbourhood featured on the Private Property website, on the Expresso Show. 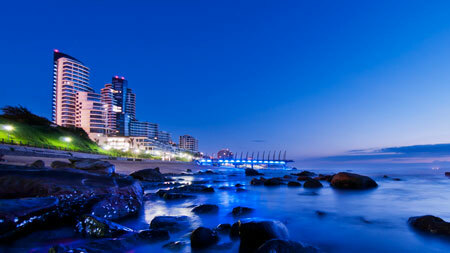 An area and property guide to the beach town of Umhlanga. Pool, Security Post and BIC.